What will quantum computing do for us? Quantum computer scientist Krysta Svore has a dream. In her dream, she arrives at the week’s Northwest Quantum Nexus Summit at the University of Washington in a self-driving car that uses quantum computation to sharpen the precision of its GPS readings and optimize its route through traffic. “So I got here faster than I ever have before,” Svore said. In Svore’s dream, quantum computers have optimized the routes for transmitting that power, and have also come up with the chemistry for super-efficient storage batteries, turning solar and wind power into always-available electricity. “All of this is leading to a lower power bill for me,” she said. 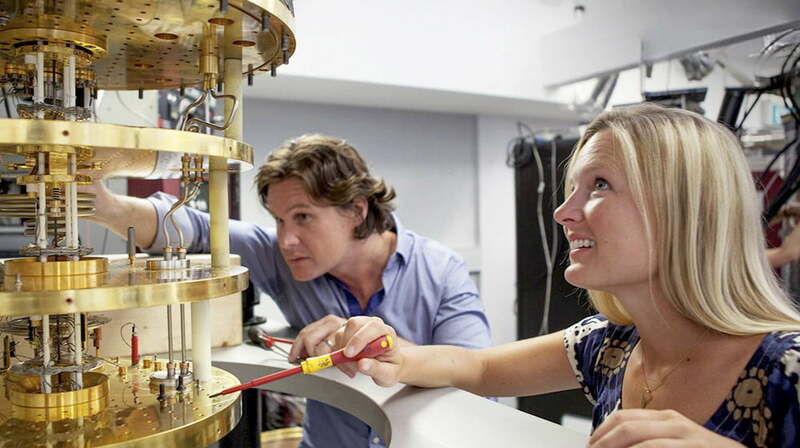 Svore dreams of quantum technologies that can design new drugs on the molecular scale, map distant black holes with incredible precision and create new types of games that will help the next generation get used to how the weird world of quantum physics works. This entry was posted in GeekWire and tagged Computer Science, Microsoft, Microsoft Research, Quantum Computing, Technology. Bookmark the permalink.